Now if only the national press and news services pick this up. Especially the investigative ones. I am almost in tears after reading this. Am I still lying Narconon? Am I still the bad guy? God gives his toughest battles to his greatest warriors. Thank you to all that have supported me and given me the courage to speak the truth. Thanks for being a part of Reaching for the Tipping Point, Eric! Awww, you're gonna make me cry too, 10oriocookies. We're so glad you're here. This is what the Church of Scientology sent NBC to try and discredit me. Silly rabbits. "The recent federal lawsuit filed by the National Association of Forensic Counselors (NAFC) is frivolous, unfounded and unnecessary. None of the Narconon organizations named claim any affiliation whatsoever with the NAFC. 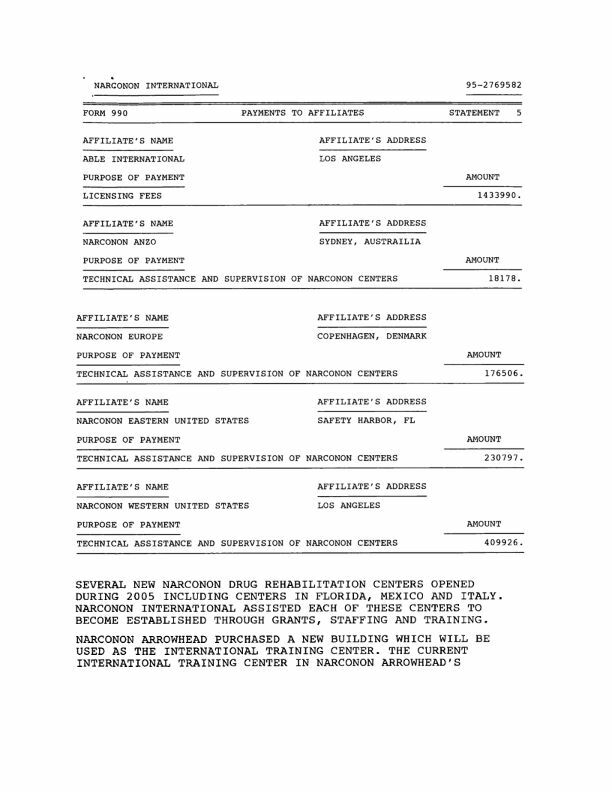 Furthermore, while certain Narconon Arrowhead employees in the past were certified as Chemical Dependency Counselors by the NAFC, neither Narconon Arrowhead nor any Narconon Arrowhead employee has had any affiliation with the organization for more than a year. For nearly 50 years, countless individuals and families worldwide have salvaged lives, healed wounds and reclaimed hope through Narconon's programs. In a state ranked No. 1 in prescription drug abuse, where two Oklahomans on average die each day from overdoses and where more people die from drug abuse than in traffic accidents Narconon Arrowhead offers an effective, secular program focused on solutions, not talk or rhetoric." Hilarious, because NAFC surely has loads of evidence to the contrary in preparing for this lawsuit. The funny part is that they say "countless". They keep exact stats on their "products". 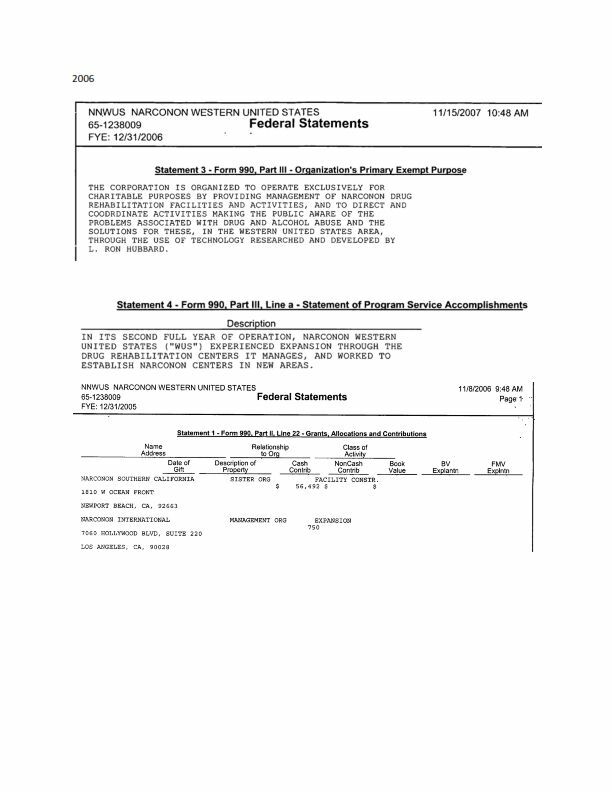 More on the NAFC lawsuit at Tony Ortega's Underground Bunker with documents included. Kent McGregor's response is mainly repeated babble. "To the extent that an answer is required, MCGREGOR is without sufficient knowledge to admit or deny those allegations and therefore denies them." Too bad for him that he was in Oklahoma for a while (still has at least one domain registered there), as were others named in the lawsuit. We'll see how many can wiggle out of this lawsuit. My impression is that NAFC has done their homework, and then some. If it proceeds to discovery and trial, rather than some kind of settlement, this lawsuit has the potential to blow the Cof$ corporate sham wide open. I'm hoping, but not laying in the popcorn yet, that happens. Despite his tooting his own horn in the usually exaggerated manner, McGregor's complaint does have a point, in that he was served a Cease and Desist long before the lawsuit and apparently did remove stuff... I didn't check much but he states he took down what he was asked to get down, saying he did it for everything he was able to take down. 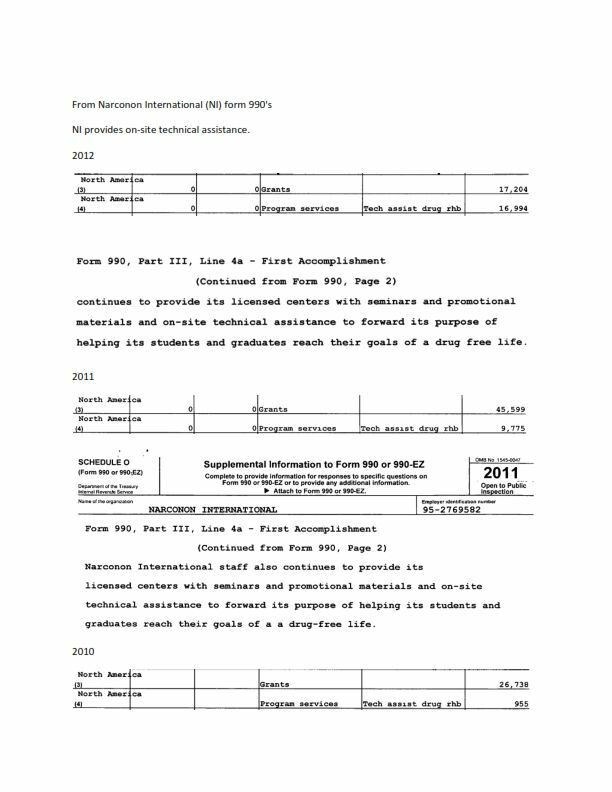 What I find interesting in his info and the Narconon Int's responses is regarding the correctional industry related certificates and how they are not applicable to the trademark. There is nothing in the trademark docs on line that mentions CCDC nor the logo NAFC. That when they first obtained trademark all it was for was NATIONAL ASSOCIATION OF FORENSIC COUNSELORS. It expired in 2002. Both state the use of the above is for "Goods and Services IC 035. US 100 101 102. G & S: Association services, namely, promoting the interests of forensic counselors. FIRST USE: 19950823. FIRST USE IN COMMERCE: 19950823"
The Founder of the National Association of Forensic Counselors ("NAFC") is the “Father of Forensic Counseling” and the originator of the professional designations and definitions of “Forensic Counselor” and “Criminal Justice Specialist”. I also find it interesting McGregor mentions having a Diplomat of the Board Cert and a MAC type cert he obtained from NAFC. He gives the number and such, and that it established and earlier relationship between he and NAFC. If this is true and it was never rescinded. Overall, this is going to be interesting to see unfold. 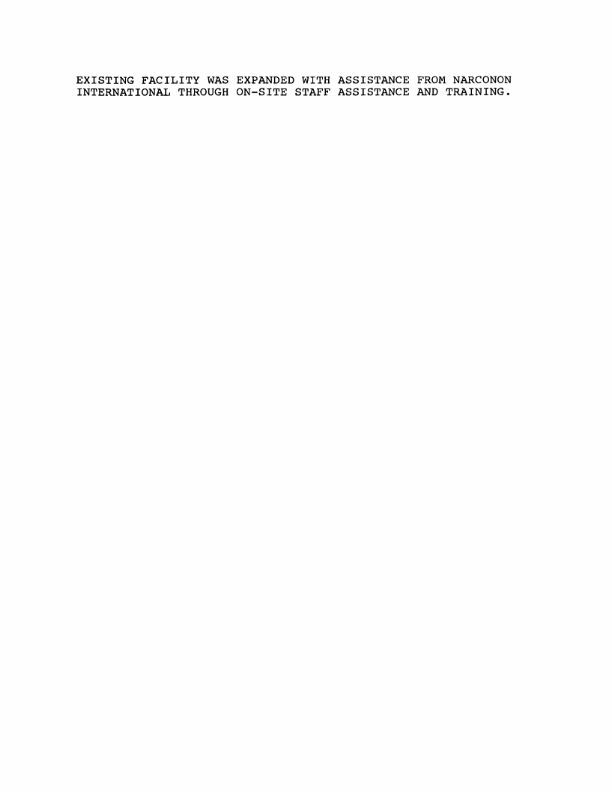 See specimen in the list of documents for the logo. That last link you posted is interesting... a dead trademark right to the logo for NAFC. Looks like someone forgot to keep up with paperwork matters. Seems to me that the claim of use of that logo issue against some of the defendants who used it on their websites may not hold water, unless it's restricted or conditional use is a stipulation agreed upon for obtaining the certifications. Not sure how to present the info, please feel free to edit. 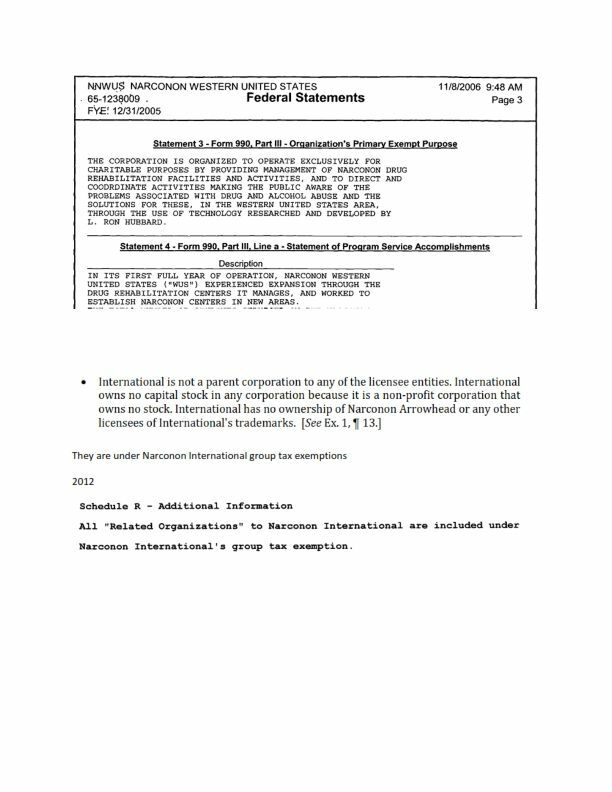 Below are statements from Narconon International (NI) and Narconon Western United States (WUS) Form 990's. This is very good, sunshine. 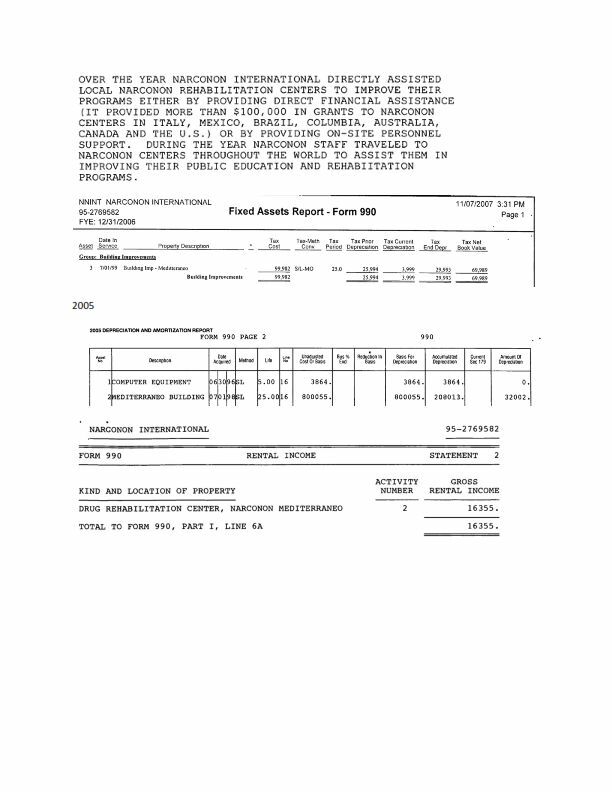 I don't have time right now to look but I would hoipe some of that info on both entity returns is also mentioned in more recent 990s. Searching by EIN, if you have it, often gets things that have been through the name morphing process that might otherwise be missed. 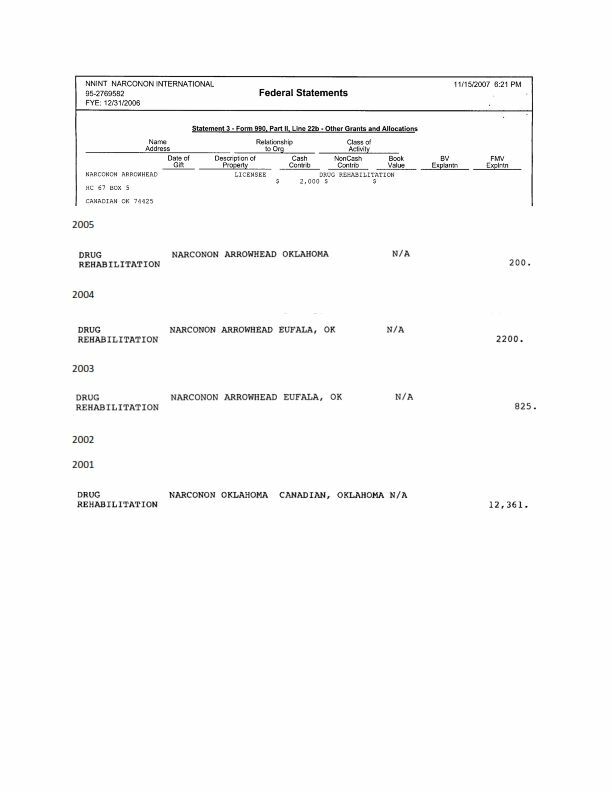 What I was trying to do with my previous post, using Narconon International (NI) Form 990's show a relationship with Narconon Oklahoma that I think is outside the typical Narconon contract and the link between Narconon International and Narconon Western United States (WUS) (also applies to Narconon Eastern United States). This maybe a bunch of BS but take a read and see what you think. I would like to follow up with the NI/WUS relationship and add Narconon Eastern United States (EUS) and Association for Better Living (ABLE). 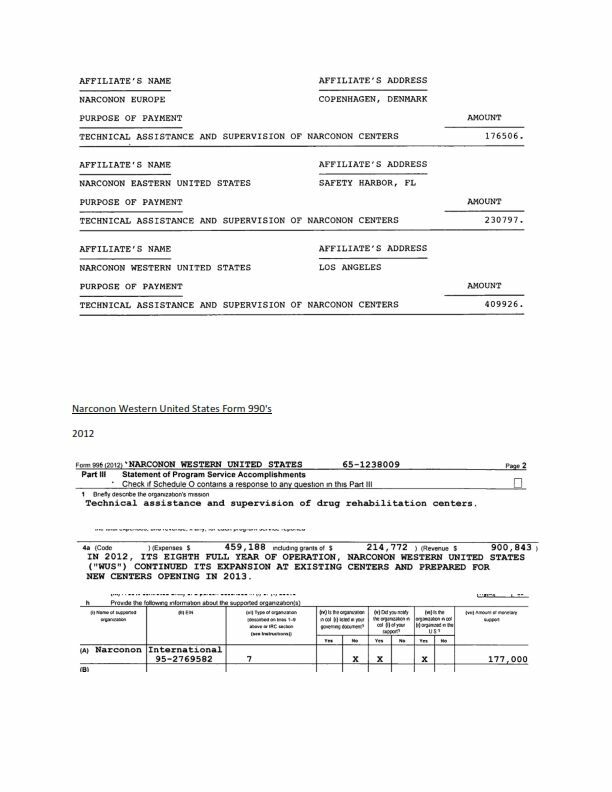 How is WUS related to NI, from WUS 2012 Form 990 Part IV Checklist of Required Schedules? 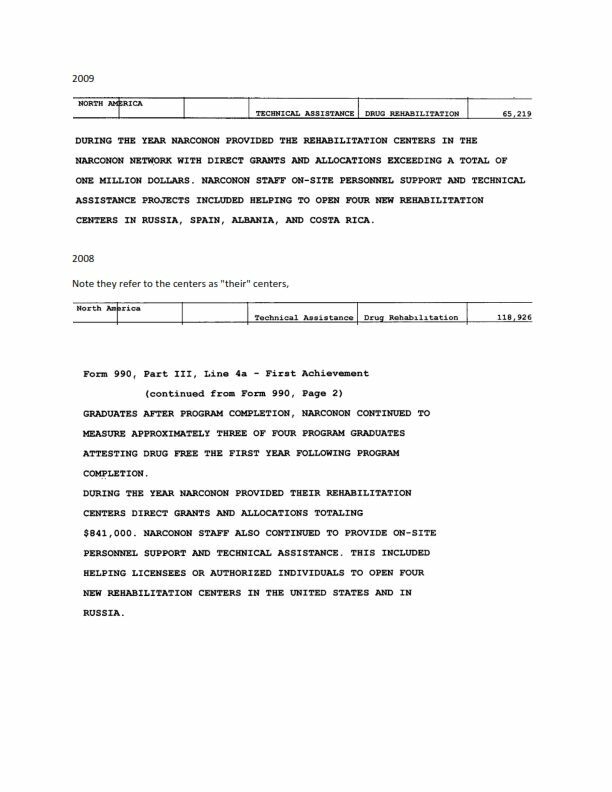 WUS selected Schedule "A" Part I 11c "Functionally integrated"
Who is WUS functionally integrated with according Schedule A 11h (A) Narconon International. 3. The organization meets the integral part test by engaging in activities substantially all of which directly further the exempt purposes of one or more supported organizations, and, but for the supporting organization's involvement, such activities would normally be engaged in by the supported organizations; or, alternatively, by being the parent of each of its supported organizations. See Regulations section 1.509(a)-4(i)(4). Transition Rule. On December 28, 2012, new regulations changed this integral part test for a Type III functionally integrated supporting organization, primarily by requiring that “substantially all” of the organization's activities must directly further the supported organizations' exempt purposes. Some organizations that met the integral part test for prior tax years may no longer meet the new integral part test. 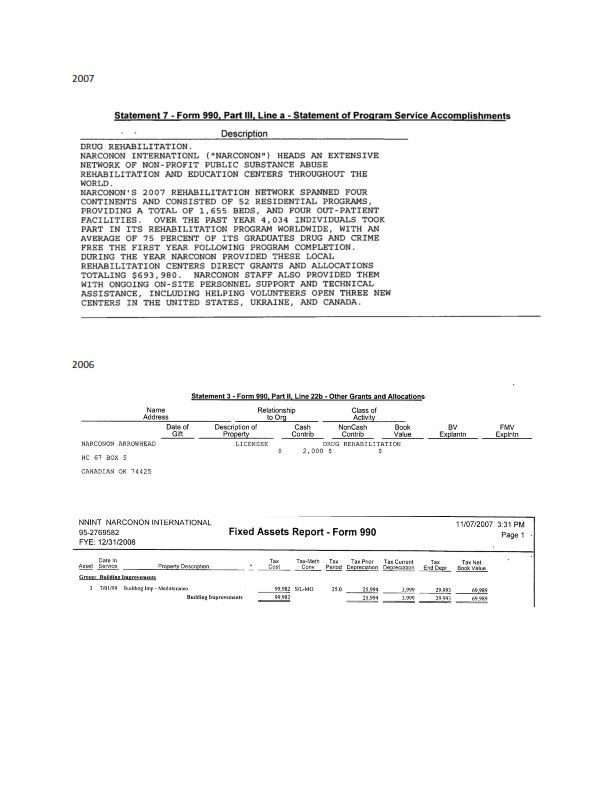 However, under transition rules (Regulations section 1.509(a)-4(i)(11)(ii)(A)), an organization in existence on December 28, 2012 that met and continues to meet the prior integral part test for Type III functionally integrated supporting organizations will be deemed to have met the new integral part test for its first tax year beginning after December 28, 2012 only, and therefore may check the box for line 11c, if it satisfies the other requirements for Type III functionally integrated supporting organizations. For subsequent tax years, the organization must meet the new integral part test in order to qualify as functionally integrated. 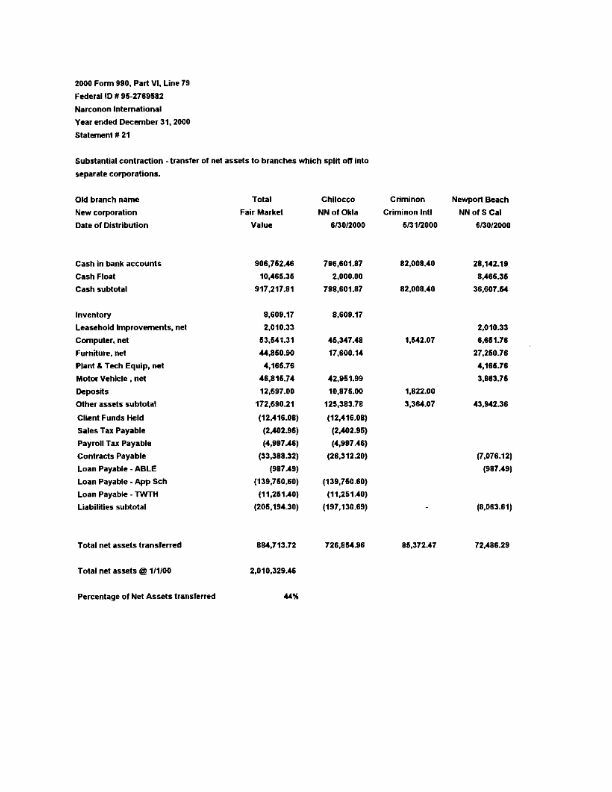 If WUS was not created would NI be performing the tech assist and supervision of the facilities? So what is the function of WUS? WUS's function is to provide technical assistance and supervision to existing Narconon Facilities. The purpose of WUS is stated in Part I Summary "Technical assistance and supervision of drug rehabilation centers"
Part III Statement of Program Service Accomplishments. "Technical assistance and supervision of drug rehabilitation centers". 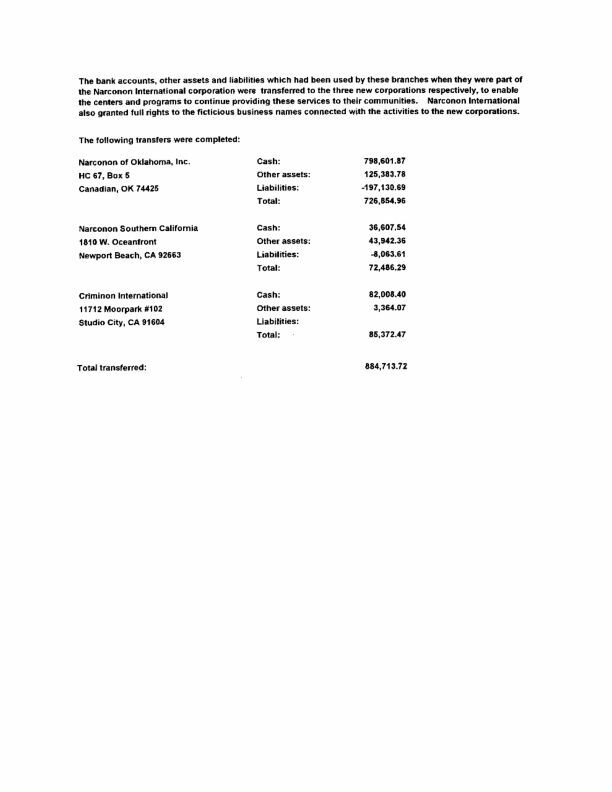 WUS income from Part VIII "Tech Assistance to Rehab Centers" for over $900,000.00. How many drug rehabilitation centers does WUS supervise (10), from Part III 4a. 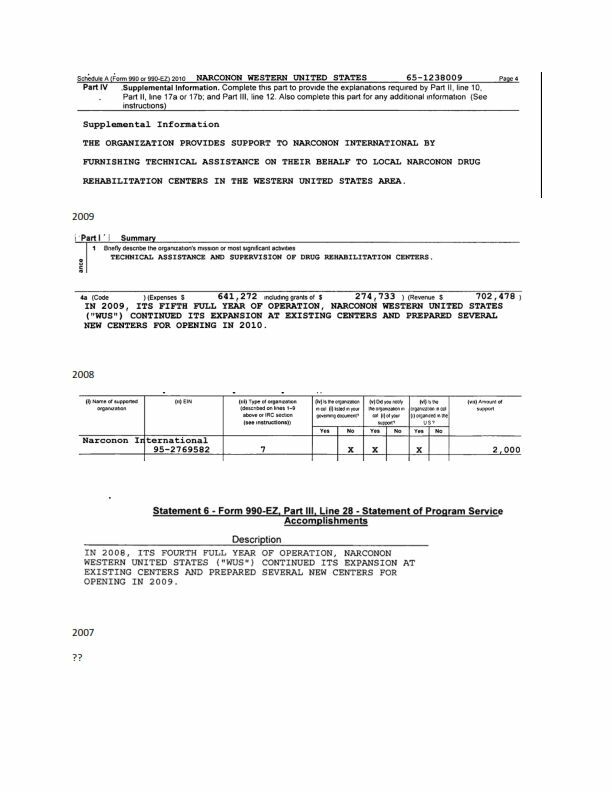 Also note in the comment that WUS "continued its expansion at existing centers"
What function does WUS perform for NI, from WUS 2012 Form 990 Part IV, by "FURNISHING TECHNICAL ASSISTANCE ON THEIR BEHALF TO LOCAL NARCONON DRUG REHABILIATION CENTERS IN THE WESTERN UNITED STATES"
Also from NI 2012 Form 990, NI spent over 1.4M assisting and supervising Rehab Centers. 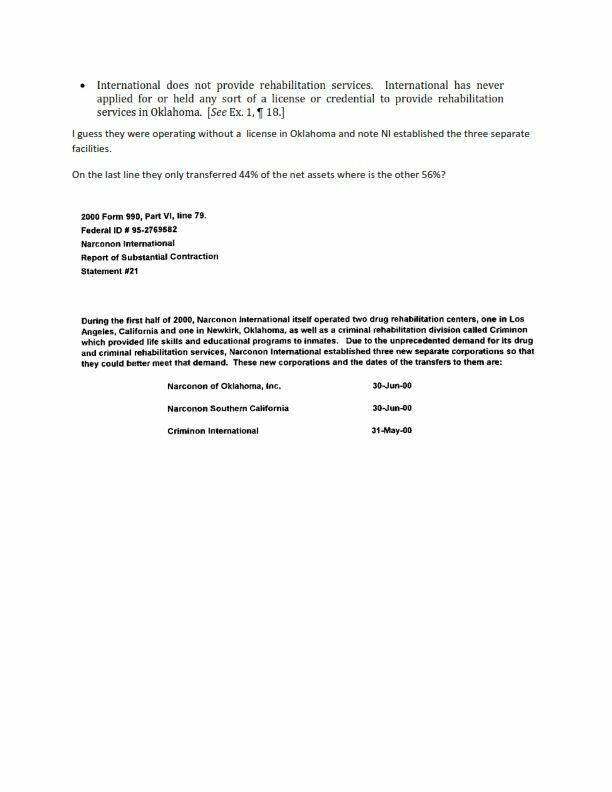 NI 2012 Form 990 Part IX Statement of Functional Expenses 24a list "Asst & Supv of Rehab Ctrs" for over 1.4M. WUS also holds funds for NI. Narconon Eastern United States (EUS) is basically the same a WUS and they supervise 7 facilities. What is the total cost of WUS and EUS to provide technical assistance and supervision? 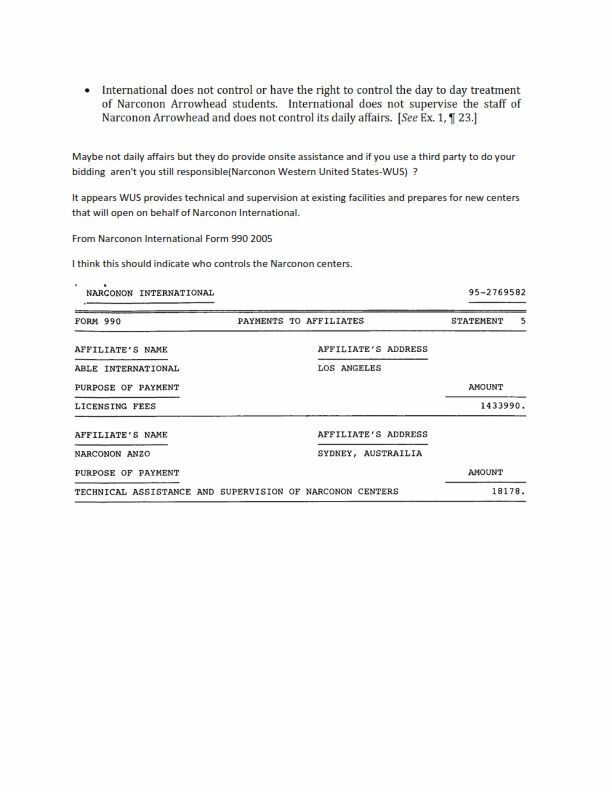 Looks like NI funds WUS and EUS and they follow NI's directions. Association for Better Living (ABLE). If above is correct, ABLE does have direct contact with Narconon other than licenses.